This item is not a plaque but we did not know where to put it so you might see it. 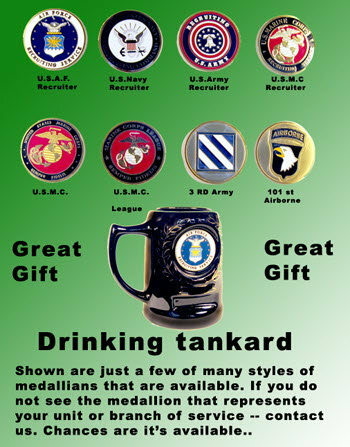 This is a drinking tankard or coffee mug that has a corp specific medallion attached to it. We are listing a sampling of 8 of the many types or styles of medallions that are available. The mugs are Black in color and are 5 1/2" high..